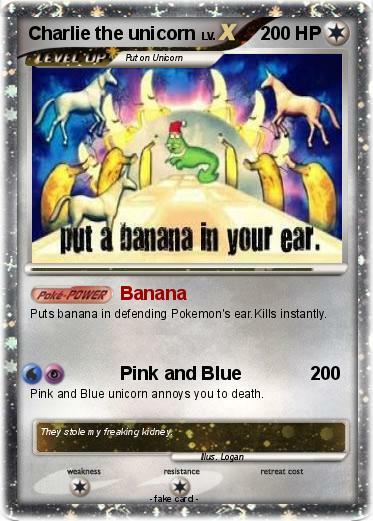 Puts banana in defending Pokemon's ear.Kills instantly. Pink and Blue unicorn annoys you to death. Comments : They stole my freaking kidney.